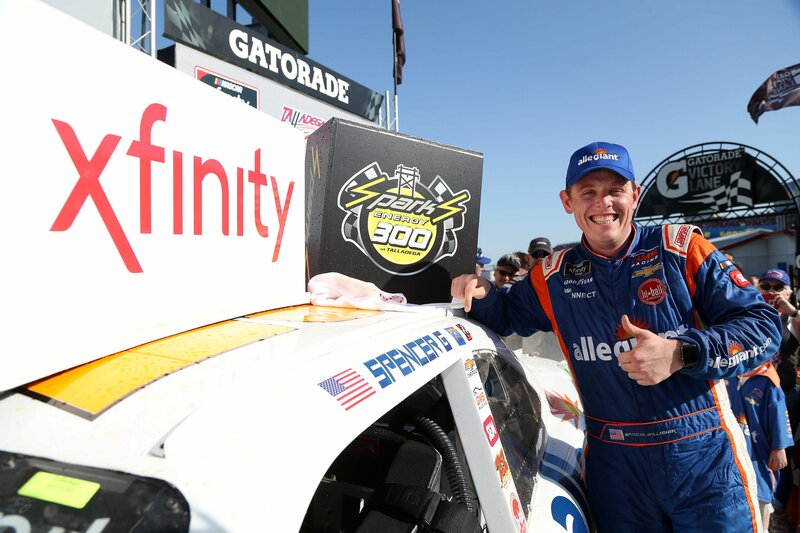 Oval NASCAR NASCAR Cup Series Spencer Gallagher, self-proclaimed ‘nerd’ abruptly retired from NASCAR; Going dirt racing? Spencer Gallagher is going to finish out the 2018 NASCAR Xfinity Series season. For 2019, he’s going to hang up the driving suit and put on a different kind of suit. The decision to retire was abrupt. He didn’t even tell the team he was going to do it. He just walked into the press conference and announced it. “I will no longer be competing in the NASCAR Xfinity Series. I will be stepping out of that role as a driver and taking on a managerial role at GMS,” Spencer Gallagher stated from the Kansas Speedway media center. GMS Racing is the little team that could. But, they’re not so little anymore and the team has 8 wins in the NCWTS for 2018. 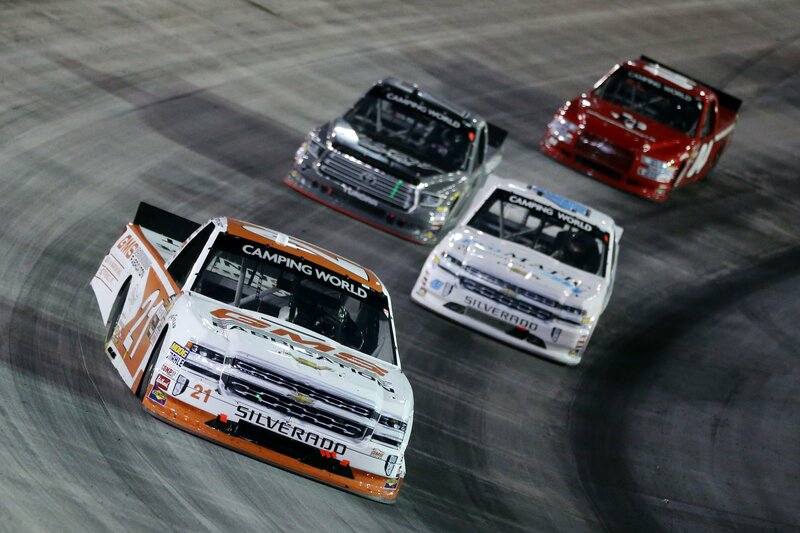 Johnny Sauter currently sits at the top of the board in the Round of 8 of the NASCAR Truck Series playoffs. Currently, GMS Racing fields multiple machines across multiple NASCAR series. The bulk of their efforts are focused on the NASCAR Truck Series. 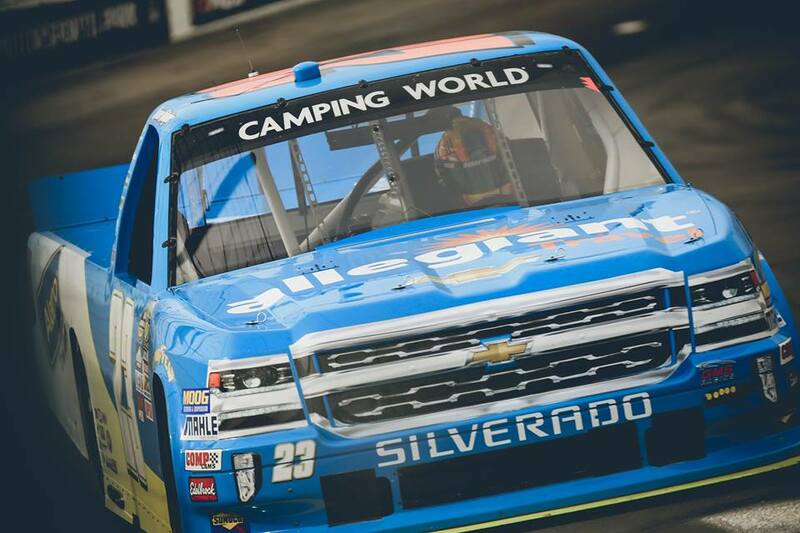 Johnny Sauter and Justin Haley run full-time for the team in the NASCAR truck Series. Both of those drivers have advanced to the Truck Series playoffs. Tyler Dippel and Sheldon Creed are set to join them, running the final four races of the season. In the NASCAR Xfinity Series, the team fields a single car effort. That driver is Spencer Gallagher. Gallagher won his first full-time season in 2017. In 2018, it was more of the same at the beginning. He went on to pick up his first career win. Gallagher isn’t stepping away from NASCAR. He’s just stepping away from the drivers seat. He’s going to dive into the business end of GMS Racing. He see’s potential and want’s to pursue that. 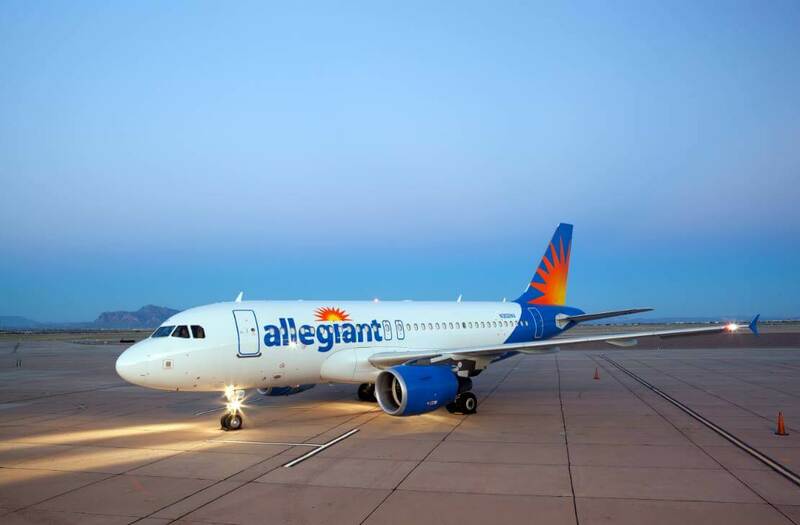 Spencer Gallagher is the son of Maurice J. Gallagher Jr. Maurice is the CEO is Allegiant Airlines. Maurice is also the owner and founder of GMS Racing. The sudden retirement has come as a bit of a shock. Gallagher is only 28-years old, he still has a lot of life left in his racing career. With the recent win, you could argue that Gallagher has just reached the prime of his driving career. Now, he’s out. Why? Dis Kasey’s retirement play a role? Did the suspension play a role in the retirement announcement? Just after Gallagher picked up his first career win, NASCAR issued a drug test. Gallagher tested position and was suspended. He went through the Road to Recovery program, missing 7 races. Who’s going to fill the seat in the Xfinity car? Spencer Gallagher hasn’t ruled out being a racing driver in it’s entirely. “I may go dirt racing. That’s where the real fun is anyway,” Gallagher told Claire B Lang via SiriusXM NASCAR Radio.